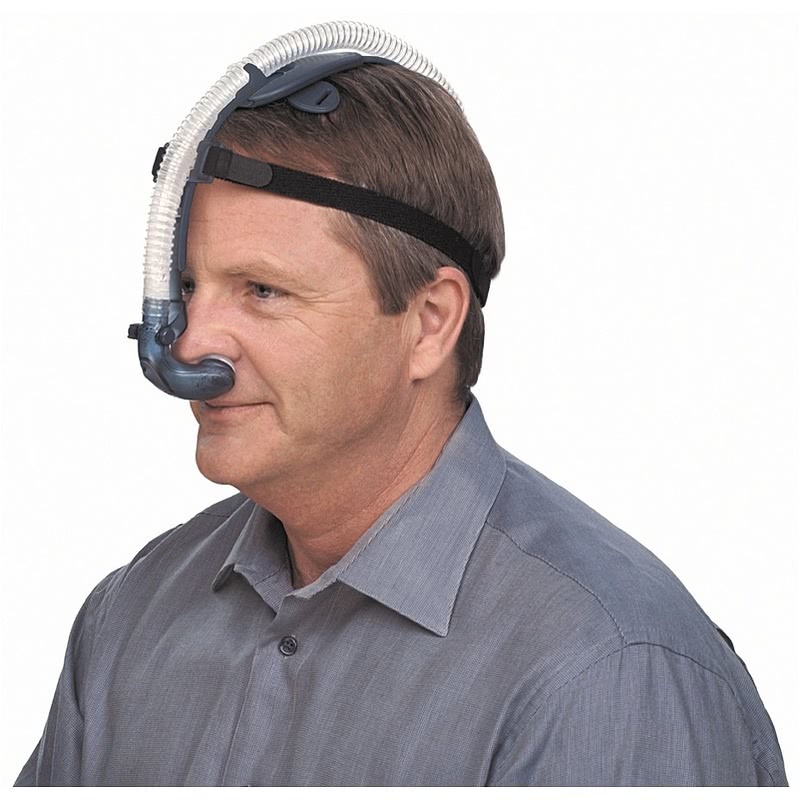 Limited Time Offer: CPAP.com has re-released the Breeze SleepGear Nasal Pillow CPAP Mask for a limited time only! Mask will only be available as long as supplies last, so order today! 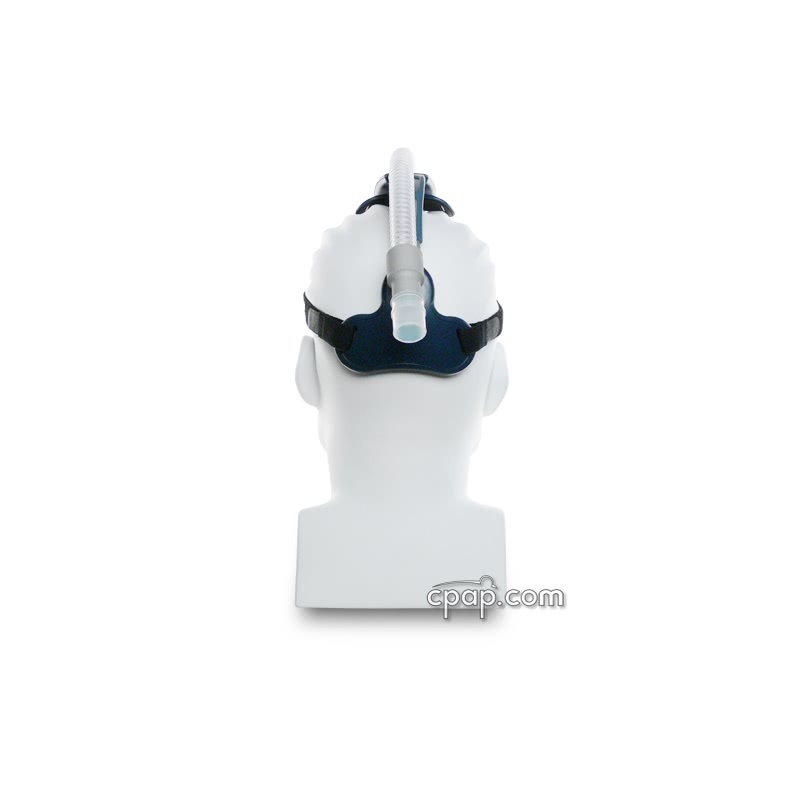 Ideal for active and claustrophobic nasal pillow users, the Breeze SleepGear Nasal Pillow CPAP Mask with Headgear offers a simplistic design that has minimal headgear contact points with the face, and no contact points on the cheeks. 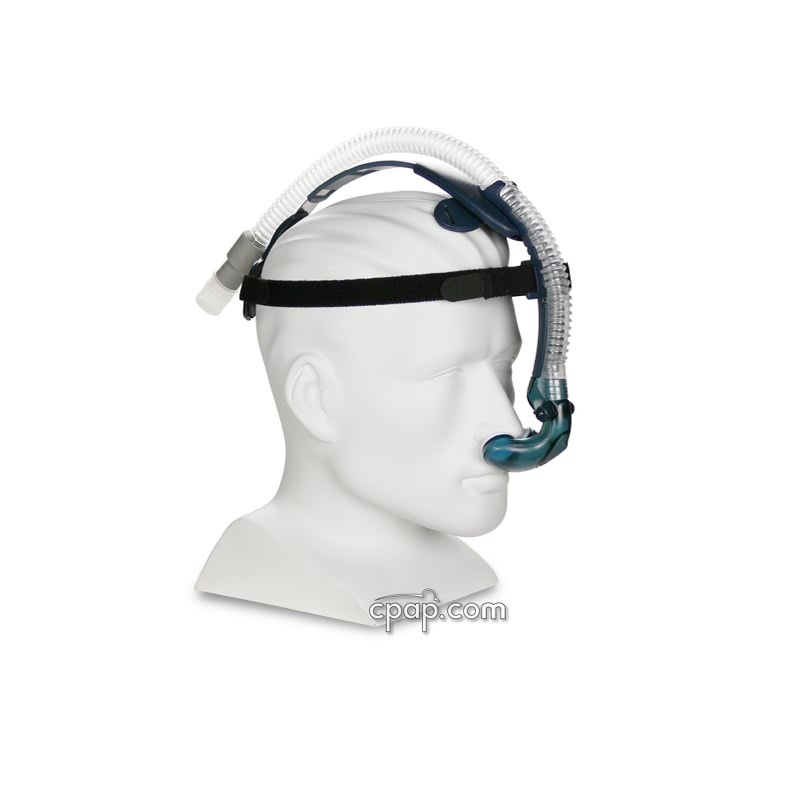 The Breeze SleepGear Nasal Pillow CPAP Mask with Headgear features a simplistic design that is easy to assemble and can be easily adjusted to fit most faces. It offers an open line of sight, freedom of movement, and can make falling asleep less difficult. Please note: this mask will come unassembled and will require assembly prior to use. 5% of Nasal Pillow product buyers choose this product. Toss and turn in the night? Wake up tangled in the CPAP hose? With the Breeze SleepGear Nasal Pillow CPAP Mask it's possible to reduce or eliminate hose tangles for good! 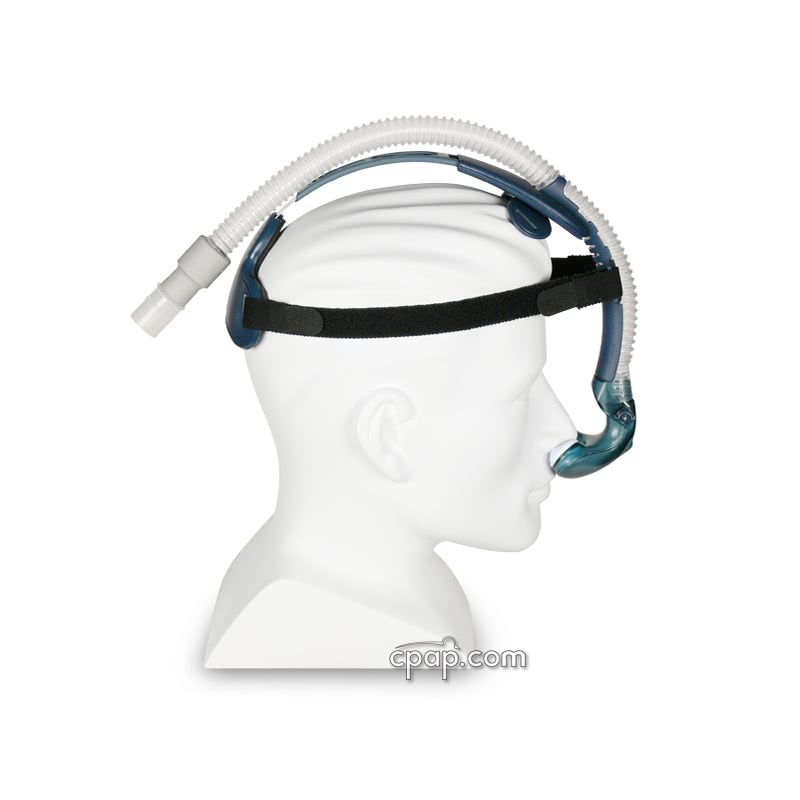 The Breeze SleepGear Nasal Pillow CPAP Mask connects the slim short tube to the nasal pillows over the length of the bridge of the nose and then connects to the main CPAP hose on top of the head. This provides the added benefit of not blocking the field of view, and it helps reduce claustrophobia symptoms by not using any touchpoints on the cheeks. This can eliminate or reduce the presence of visible red marks on the face and reduces the impact of mask annoyances during active sleep. Please note: this mask will come unassembled and will require assembly prior to use. The Breeze SleepGear Nasal Pillow Mask is light to the touch and feels gentle on the face. The Breeze SleepGear minimizes touchpoints and can help reduce red marks, making the lightweight design perfect for side sleepers. 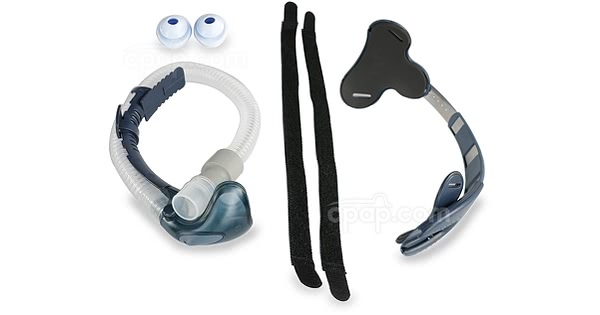 The Breeze SleepGear Nasal Pillow CPAP Mask comes disassembled and requires some assembly. The mask comes in 3 easy-to-assemble pieces, including the Nasal Pillows. Assembly is fairly easy and straightforward, and in most cases, it should take only a few minutes or less. With adjustable headgear straps and adjustable nasal pillow shell angle, the mask can be customized for the best fit possible. The mask is also available in three different sizes of nasal pillows for an even more personalized arrangement. By running the short tube over the bridge of the nose and up over the head, obstructions to the field of vision are minimized, making it possible to read or watch TV while wearing the mask. Catch up on the news, read a book, or watch a movie -- all while wearing the mask! Reduce hose tangles and improve comfort while wearing the Breeze SleepGear Nasal Pillow Mask! Designed with active sleepers in mind, the Breeze SleepGear Nasal Pillow Mask minimizes hose tangles by connecting to the hose at the crown of the head instead of around the nose. It's also a recommended mask for side sleepers too. In order to reduce red marks on the face and improve comfort, the Breeze was designed with no touchpoints on the cheeks. 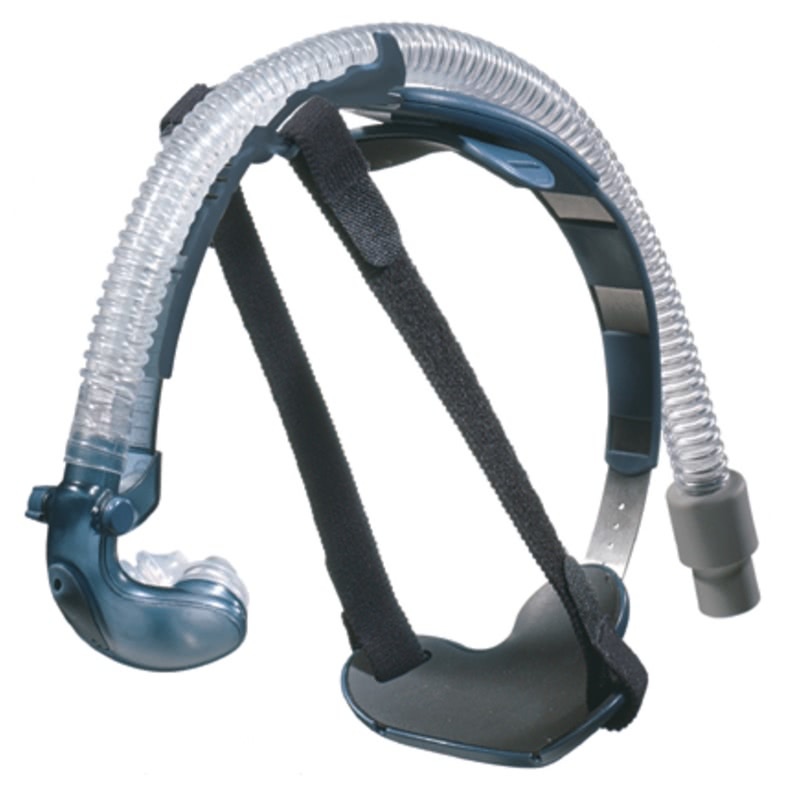 This is great for people who feel claustrophobic when wearing a CPAP Mask, and it's an added comfort feature for this unique design. The Headgear and Cradle will come disassembled. It will require attaching the Headgear to the Cradle, by undoing the velcro, and unspooling the headgear straps. Each end of the headgear straps is identical, with a tiny tab of velcro at each end. Locate the small, rectangular, slots for the headgear near the crown of the Cradle, and loop the headgear strap through the slot, velcroing the straps into place. Find the matching slots for the headgear at the bottom of the Cradle near the back of the head. Loop the headgear through, and velcro into place. The headgear straps should form a diagonal line from the crown of the Cradle to the back of the head. Repeat these steps for the matching slots on the other side of the Cradle. 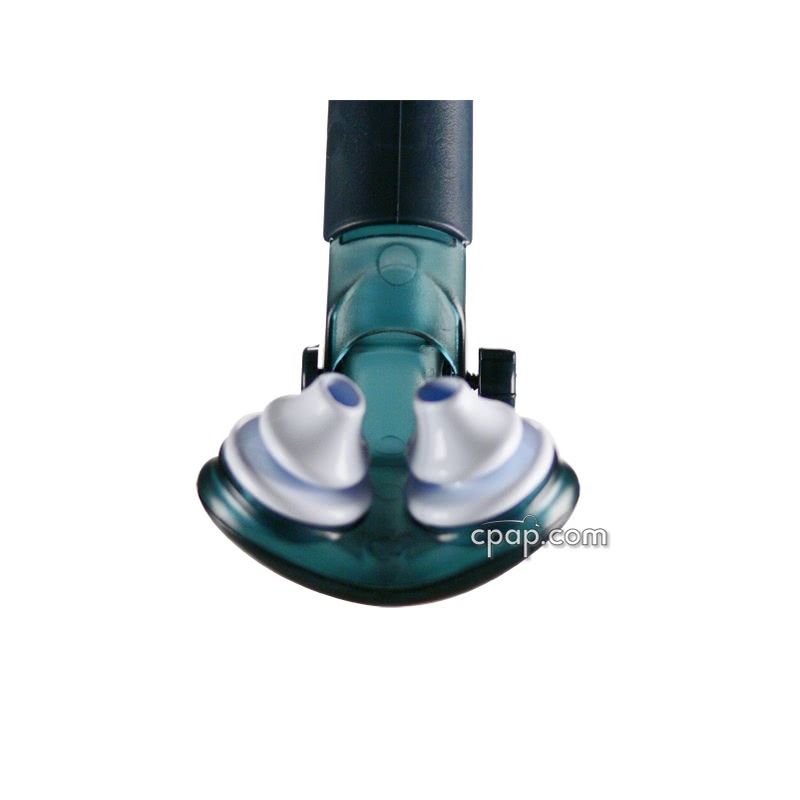 Take the Mask Assembly (which features the short tube and nasal pillows) and locate the grooved connector near the top of the Mask Assembly. It should look like a angled rectangle with rounded ridges. 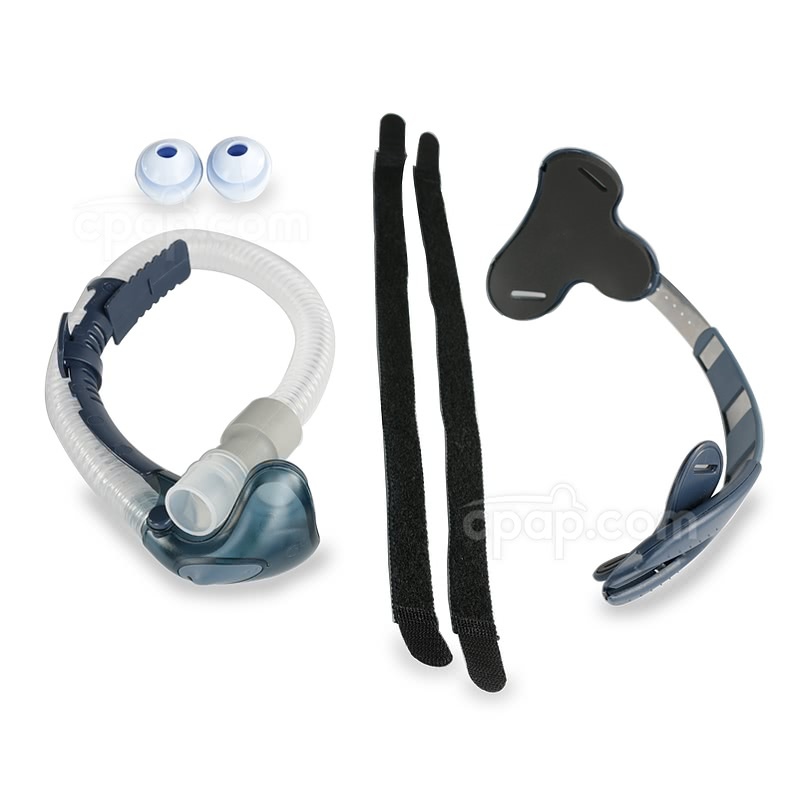 Holding the Headgear and Cradle (which contains the adjustable straps) in one hand, slide the female connector near the top of the headgear into the male grooved connector at the top of the mask with the other hand. The pieces should click together. Attach the nasal pillows at the bottom of the mask, where the mask would connect to the nose by sliding them into place. The Breeze SleepGear Nasal Pillow Mask, only comes in one frame size. It's easily adjustable and can fit most faces. All Breeze Nasal Pillows are interchangeable with the Breeze mask frame. The Breeze Nasal Pillows do not have an identifiable size written on the exterior of the nasal pillow. Instead, Breeze color-codes the nasal pillows according to size. Hard-cuffed hoses are not compatible with the Breeze. When using a hard-cuffed hose, it's found that the hose will simply slip off the mask connection. We recommend using the FlexiTube Angle Adapter as a workaround to this issue. SnuggleHose, a leading manufacturer of hose covers used to reduce rainout (condensation forming in the tube during use) has a hose cover designed specifically for short tubes like the one used with the Breeze. The product is called SnuggleHose Cover for Short Mask Tubes. It's designed to keep the air warm as it moves from the machine to the nose and reduces the sensation of being splashed with water during sleep. It's also recommended if using this product, to also use a hose cover (unless using a heated hose, in which case a hose cover is not necessary). The hose cover will keep the air warm as it moves from the machine to the short tube and is typically 6 feet in length. 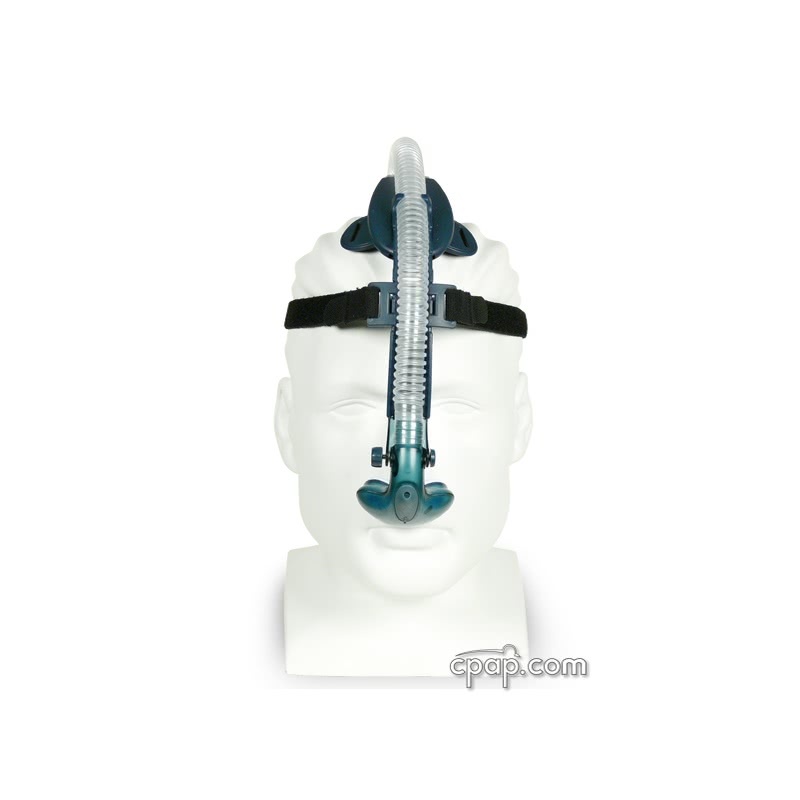 The Short Tube hose cover (mentioned above) would then be used to warm the air the rest of the way to the nasal pillows, reducing rainout.